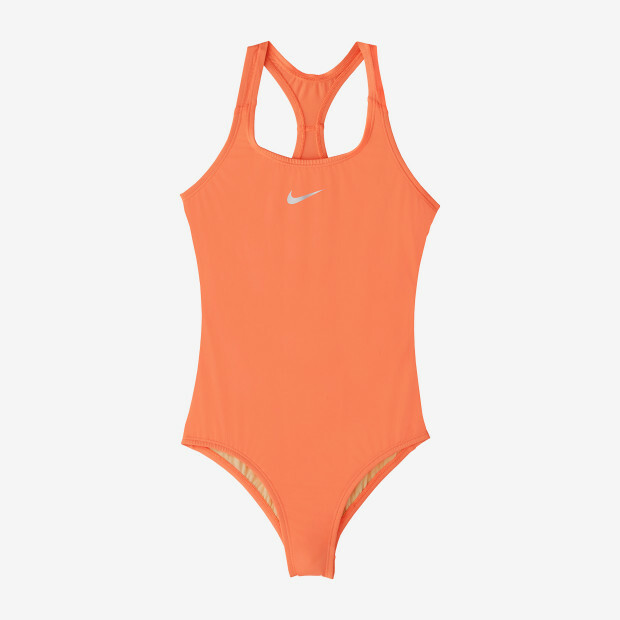 Nike Swim Girls' Solid Racerback One-Piece has a sleek, ergonomically enhanced fit great for training or competition. 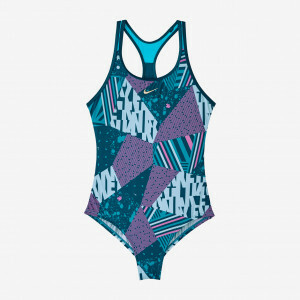 This girls performance swimsuit is cut with a racerback to allow free, natural arm and shoulder motion in the water. 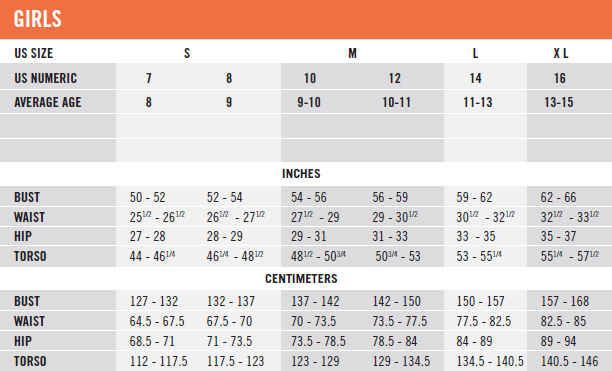 Flat seam construction ensures a chafe-free fit.